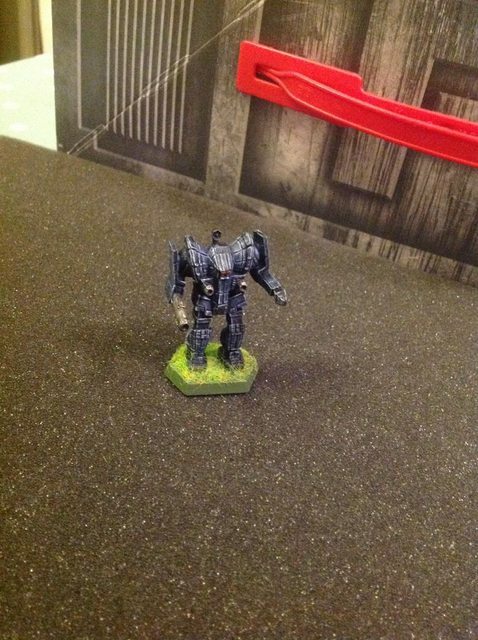 Hoping it may motivate me to paint my Battleteching forces, thought I'd blag myself a blog. You may already have seen my first attempts, but tough. I know nothing of tech of the battle variety, but they look cool! I know. But everything I have is 28mm so I'm resisting anything drastic in a new scale. 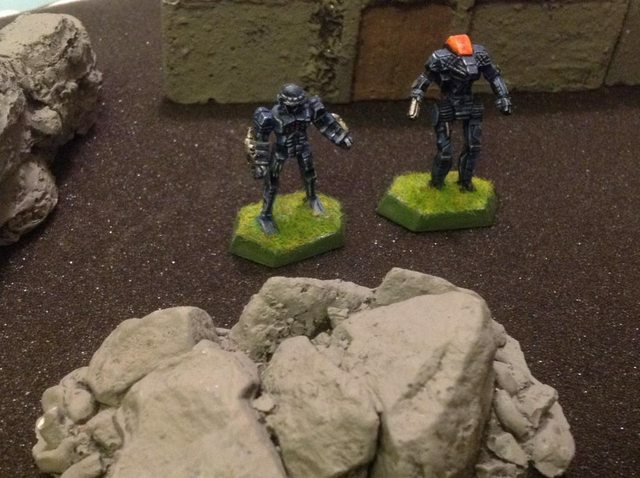 Yes, but although they're technically 6mm, the principle game is played with Battlemechs, which are all actually 28mm (ish) so you would't reeeeeally be changing scale, just perspective. Have to admit, I bought 2nd edition years ago. Looked at the rules, looked at the book keeping....put it away again for 3 years. It does take a little suspension of disbelief, but (in my biased opinion) is worth it. W.I.P Black Skye Cataphracts - proxied and converted to buggery. Note the hack-job Von Luckner in the centre! Finished! 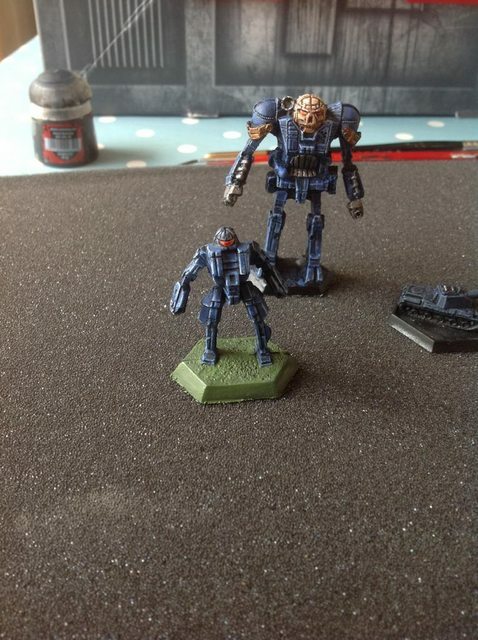 Kommandant Leopold von Geist in his Atlas, his son Leutnant (yes that's apparently how it's spelt) Stephan in a Dervish, plus Goblin medium tank and Marsden II MBT. 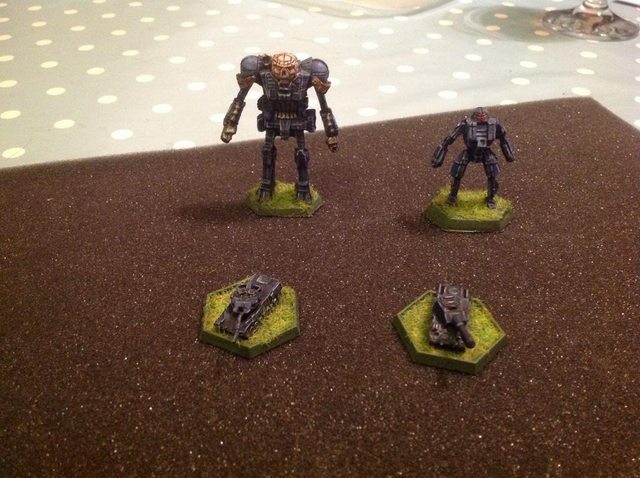 3 more mechs to finish, plus 4 tanks, and I'm done (unless I add some jump infantry...). i realise that neither tank looks massively like it should, but figured that one medium sized tank with principle weapon could be substituted for another. I also tell myself that the manufacturing process is likely to change from planet to planet. Cheers dude. Looks absolutley nothing like a 'proper' Goblin - the turret is in the wrong place, the tracks are not far enough apart, and the whole thing is smaller. On the other hand - buying 4 Gobilns will cost about £25, whereas the ones I bought cost about £3, and are better models anyway, so sod 'em. Awesome complete. Worried that my force looks a little bland. Anyone have any tips on painting convincing unit markings and designations?